Welcome to the first day of Intros, today we are introducing So Many Snowmen. 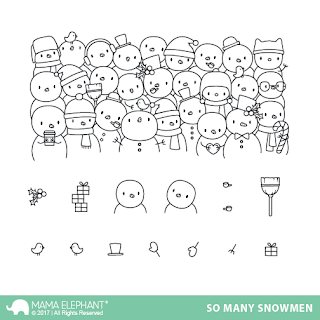 So Many Snowmen is a really fun holiday set that I truly love for mass producing cards. Just a little bit of shading for the snowmen, and coloring their accessories and you're done! Check out this video of me speed coloring So Many Snowmen! I also have a super quick clip showing you the newest Inside Pop - Celebrations CC. 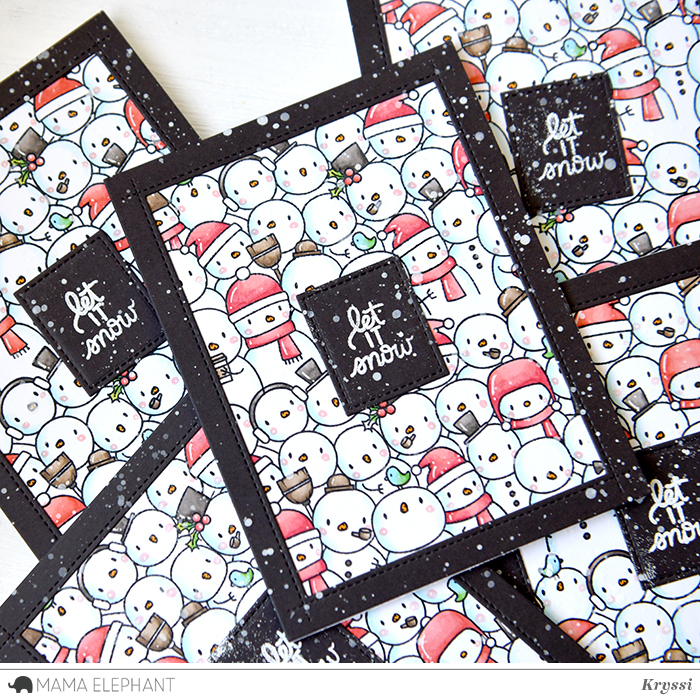 Inside Pop - Celebrations CC will take your holiday cards to a whole new level! We wanted to create a 3d interactive design that would be perfect for our Little Agenda line of stamps. Let your imagination run wild with the endless possibilities. Create a pop up gift box or a pop up shadow box for a cute little scene! When assembled, your card closes completely flat for mailing! OH MY GOSH, I CAN NOT EVEN HANDLE THESE AMAZING PRODUCTS!!! Seriously! Love the snowmen & this pop up present is AMAZING!!! Wow.. That is really cool! Oh my!!! 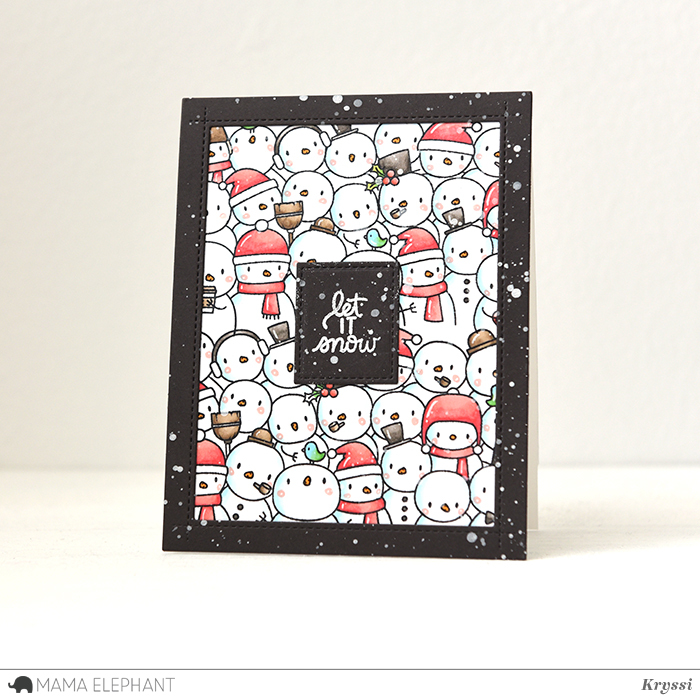 I am totally in love with that So Many Snowmen stamp!!!! So fantastic! The cuteness of this set is just amazing!! I'm in love with the pop up box! Can't wait for this release! You should of made a sentiment to go with it that said, "Let it snowmen"! So cute! This is so incredibly adorable!! I audibly "awwwed" when I opened this page! Awww.... 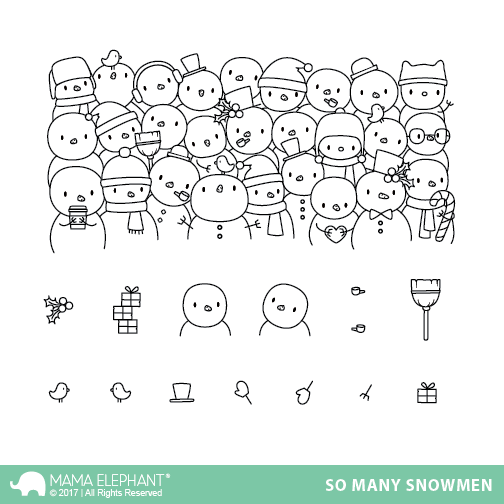 I want that many snowman stamp, so so cute! LOVE those Snowmen!!!! And you can NEVER have too many of 'em! Cute present pop up, but those snowmen are so adorable!!! Soooo cute! I haven't finished getting everything I want from the last release yet!! Is it the 15th yet? So darn cute! Those snowmen are really cute!! Woooo ! I love this stamp !! Awesome! The snowmen are adorable! Fun pop up too! Love the snowmen. Wonderful card. Just when I think you can't come up with anything cuter...you do!